How am I supposed to handle vacation pay for the new dishwasher?What’s the minimum shift length in Saskatchewan anyway? 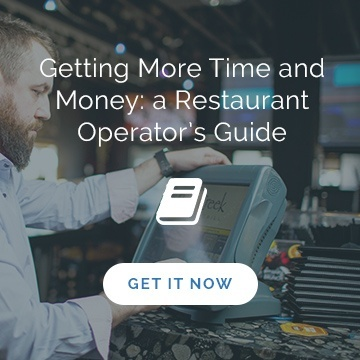 For many restaurant managers, paying staff comes with questions, and more questions. That’s because in Canada, no two provinces have the same employment standards, and in the restaurant industry, no two employees have the same hours. 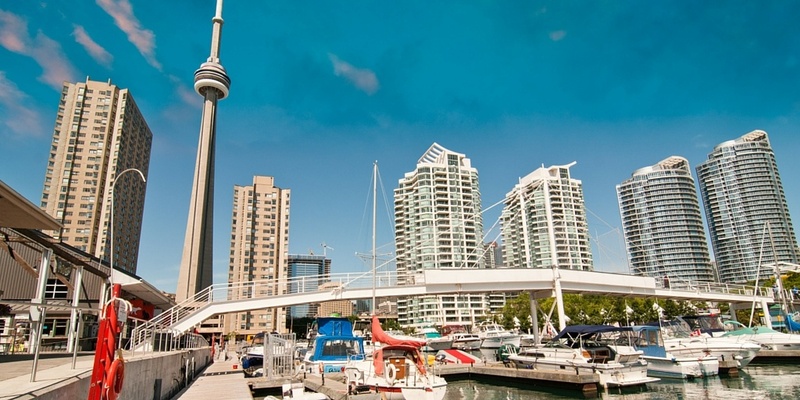 “The main problem with calculations is it’s not necessarily difficult once you get your head wrapped around the rules, but it’s so time-consuming,” says Evan Drury, CPO of Payroll Connected, an online payroll processing software the automatically calculates all those things payroll managers detest—stat holiday pay, overtime and vacation pay—to each province’s unique rules. To illustrate his point about how much effort goes into making these complex employment standard calculations, Drury gives an example: An Ontario restaurant manager walks into his office on January 2 to do the payroll. Now, Ontario recognizes three stats at that time of year: Christmas, Boxing Day and New Year’s Day. “The manager has to track which of those days the server worked. The first stat day is Christmas Day. To figure out her stat pay for that day, he has to calculate how much she earned in regular wages in the last four weeks (before the work week of the public holiday, plus all of the vacation pay payable to her in those same four weeks), and divide by 20. And that’s assuming she was off all those dates. Is your head spinning? That’s just one employee. One pay period. One employment standard rabbit hole. “A lot of people get these ones wrong, and, unfortunately, they vary greatly from province to province,” says Drury. The only employment standard that tends to be the same across Canada is breaks. “Generally speaking, coffee breaks are a nicety and anyone who gets one should be thankful because they’re not required, but a half-hour break after five hours is standard,” says Drury, adding rules usually state that it’s an unpaid meal break if the employee can leave the premises, and a paid meal break if they need to remain on-site and be available to the employer. So, where should you look for answers to your questions about all the other employment standards in your province? The best resource: This fact sheet for restaurant employers, made by BC’s Ministry of Labour, answers questions about everything from how overtime is paid and the rate of vacation pay to how to handle split shifts and BC’s statutory holidays. A stand-out standard: BC has the distinction of being the only province in which you can collect vacation pay on vacation pay (employees receive vacation pay while away on paid vacations). The best resource: If you’ve got a restaurant in Alberta, you’ll want to have this guide to employment standards for the hospitality industry at your fingertips. 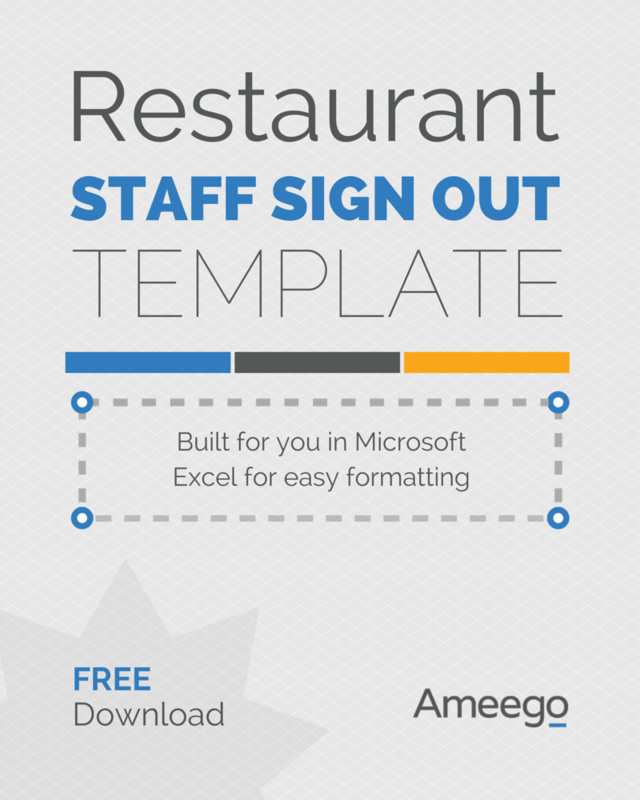 This guide was made with restaurants in mind. It answers questions such as ‘How does an employee working an irregular schedule qualify for general holiday pay?’ and ‘Can a person under 15 work in a restaurant?’ Bookmark it, or, better yet, print it and tack it to that bulletin board. A stand-out standard: If a stat holiday falls on a Monday, employers have to look back nine weeks. If an employee has worked five of the last nine Mondays and at least 30 days in the last 12 months, then they qualify for stat holiday pay. Also, daily overtime is time worked over eight hours. Weekly overtime is hours worked over 44 hours in the week. The employer is only required to pay the larger of the two numbers (the lesser number of hours being paid at regular rate). The best resource: The government of Saskatchewan’s employment standards for restaurants and food services industry is a great resource for restaurant managers. This page includes some really intricate details, such as minimum call-out pay (if a hostess shows up and it’s so slow she’s sent home) and split shifts, but you’ll need to view the general Saskatchewan employment standards page for rules about overtime, vacations, holiday pay, etc. They’ve also got a handy vacation pay calculator to make crunching those numbers simpler and more accurate. A stand-out standard: Employers in the restaurant and food service industry must provide employees who finish work between 12:30 am and 7:00 am with free transportation to the employee’s place of residence. 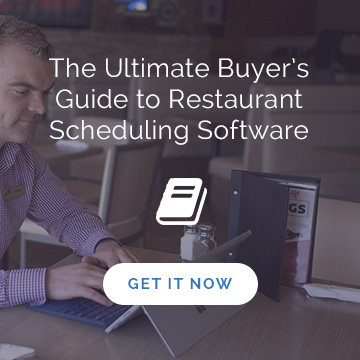 The best resource: If you have restaurants in Manitoba, you’ll want to bookmark both the labour ministry’s quick guide to employment standards, which breaks into sections for hours/scheduling, overtime, vacations and vacation pay etc. ; and the common issues fact sheet, which addresses topics such as minimum wage, young employees, holidays, overtime and more. A stand-out standard: In Manitoba, there are no restrictions on who is eligible for holiday pay, so little dishwasher Kenny who starts June 25 would qualify for Canada Day’s holiday pay...6 days later. The best resource: If you’ve got employees or team members in Ontario, you’ll want to use the labour ministry’s guide to employment standards for up-to-date reference material. 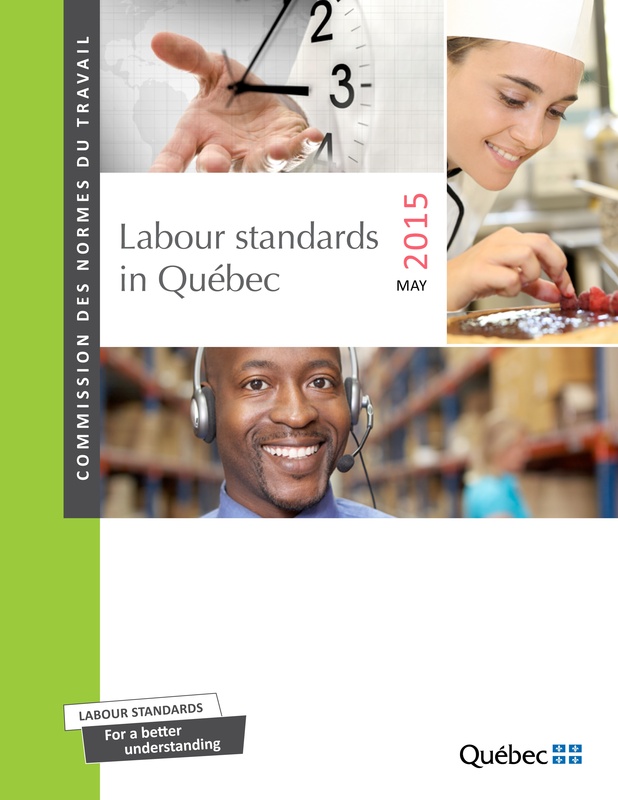 The best resource: You’ll want to get your hands on a copy of this guide from Quebec’s labour ministry. It contains precise definitions for common industry terms, as well as all of the pertinent information regarding employee wages, leaves and absences and complaint procedures. A stand-out standard: If an employee is required to pay for his or her own uniform for work, deductions resulting from for purchasing, using or maintaining the special clothing cannot lower their wage to below the minimum wage rate. The best resource: The Labour Relations Agency in Newfoundland has published this handy booklet that can be used as a ready reference for the application of the Labour Standards Act. The material covers some of the most commonly asked questions restaurant owners face with regards to employees and their rights. A stand-out standard: If an employer approves a written request for a shift change from an employee (or multiple employees), and the resulting change causes the affected employee(s) to work more than 40 hours in a week, the employer is not required to pay them overtime. The best resource: The New Brunswick government has broken down their employee standards information into a series of smaller publications: General Information; Rules of Payment and Payroll Records; Wages; Public Holidays and Vacation Pay. A stand-out standard: In New Brunswick, an employer cannot dismiss, suspend, lay off, penalize, discipline or discriminate against an employee who refuses to work on a Sunday. However, the employee must provide written or verbal notice of their refusal at least 14 days before the Sunday for which they are being asked to work. The best resource: With its report-style format and language, The Guide to the Nova Scotia Labour Standards Code might scare you off at first, but, fortunately, the electronic version has a handy and clickable guide to relevant sections (overtime pay, holiday pay, etc.) to make it easy for you to find exactly what you’re looking for, so fear not! A stand-out standard: To qualify for holiday pay, an employee must: “be entitled to receive pay for at least 15 of the 30 calendar days before the holiday AND have worked on his/her last scheduled shift or day before the holiday AND on the first scheduled shift or day after the holiday.” Sounds like they found a way to keep people from picking up work just because there was a stat around the corner. The best resource: Restaurant owners and managers in the Yukon will be able to reference this list of frequently asked questions. All you have to do is click on the topic you’re interested in at the top, and it will link you directly to the corresponding information. A stand-out standard: When it comes to equal pay for employees, an employer is not allowed to lower the pay rate of one group of employees in order to comply with the requirement to pay two groups of employees the same rate. The best resource: The Northwest Territories website features a page with links covering an array of employment standards subtopics that will be indispensable to anyone who runs a restaurant. This easy-to-use interface allows managers to quickly access the information they need without having to wade through pages of content. A stand-out standard: An employer may not make deductions from an employee’s paycheque for damaging the employer’s property, or for shortages or outstanding debt. Once you find the labour standards websites for the province or provinces where you have employees, be sure to bookmark them (in both browsers) until the rules become second nature (at which point they’re probably apt to change). In the meantime, know that you’re not the only payroll manager out there cursing our country’s motley crew of employment standards.